Mongol Carpets and Ilkhanid Dynasty Rugs – The Mongols are famous, or perhaps infamous, for having brought Islamic culture in Central Asia, Iran, and Mesopotamia to the brink of destruction in the thirteenth century. But by the early fourteenth century, the Ilkhanid Mongol rulers, newly converted to Islam, had become great patrons of the arts. The illuminated scroll of Lady Wen Chi in the Metropolitan Museum of Art depicts a nomadic Mongol encampment in which various small rugs are clearly indicated. 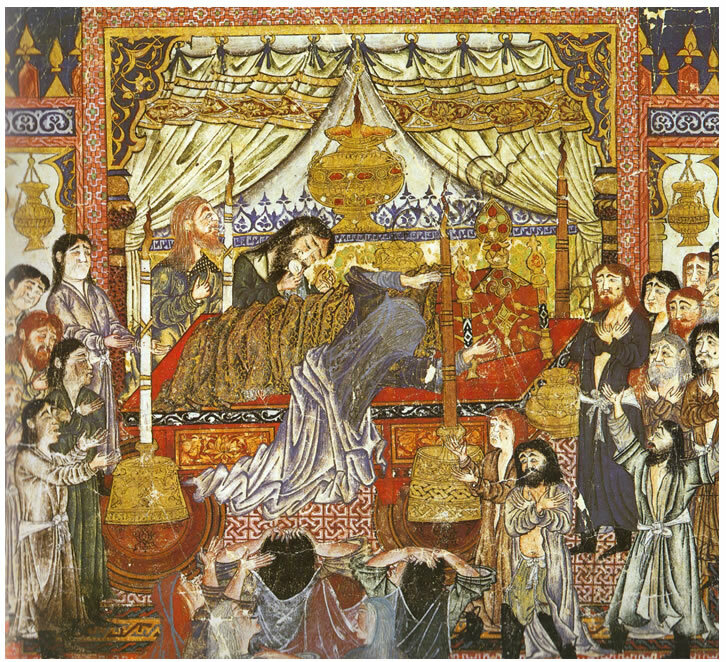 Since this scroll shows the Mongols as a people whose culture had traditionally prized and produced rugs, it therefore seems very likely that they would have supported the production of fine carpets in their new role as Islamic rulers and art patrons. Thus, these carpets are distinct from other antique rugs from this part of the world. Unfortunately, no Ilkhanid dynasty rugs or fragments has yet come to light. 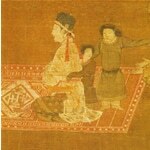 Depiction of 13th century Mongol Rug from Scroll of Lady Wen Chi, Metropolitan Museum of Art, New York (from V. Gantzhorn, Oriental Carpets, ill. 200). There are only representations of Ilkhanid dynasty rugs in illuminated manuscripts. These, however, appear closely related to Seljuk or Beylik rugs from Anatolia.